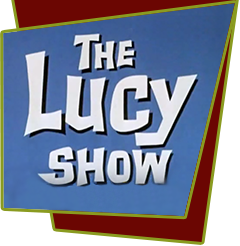 After Lucy and Mr. Mooney accidentally get locked in the bank vault, she locks him back in when she demonstrates how she made the initial mistake in the first place. Desperate to get him out, she talks Mr. Bundy, the mild-mannered owner of a candy store located next to the bank into assisting her in getting Mooney out of the safe. Unbeknownst to Lucy, Mr. Bundy was a former safecraker. The reformed thief sets an angry Mooney free, but the experience of opening the safe rekindles old desires. Now Bundy decides to go back to a life of crime, and ties the ladies up in his store so he can now rob the bank. Special Notes: This is the second of two parts from episode #34, "Lucy Gets Locked in the Vault". Bloopers: When the man on the phone asks the cost of butter cream, Lucy tells Viv the light chocolate is $1.40 a pound, and the dark chocolate is $1.35. When Viv repeats the information into the phone, she reverses the prices.